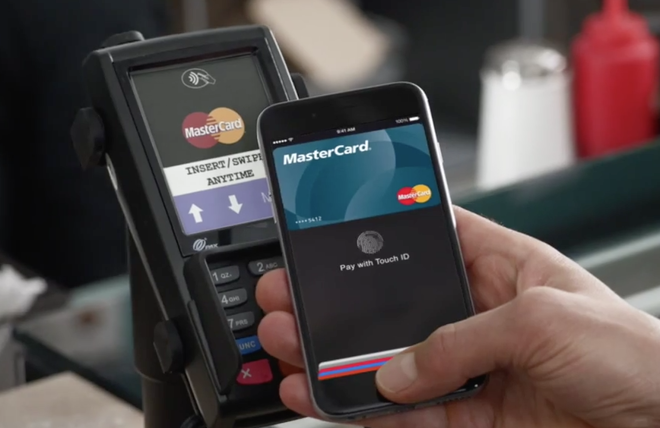 According to a report late Monday, Apple is looking to expand Apple Pay operations into China, but the company may face an uphill battle as partnership talks with state-owned credit card operator UnionPay have stalled. Although Apple Pay is off to a good start in the U.S., the touchless payment system has yet to debut internationally and is facing resistance in the important Chinese market, reports MarketWatch. An official with the People's Bank of China confirmed that "Apple is seeking to cooperate with Chinese financial institutions" for an Apple Pay introduction, but has not made any concrete deals toward that goal. A major hurdle standing in the way of a Chinese Apple Pay rollout is UnionPay, China's state-owned credit card and debit card system operator. Sources claim talks over a possible agreement, supposedly due for completion by March, have stalled. UnionPay is a lynchpin in realizing Apple's ambitions in China, as the system exists as the country's only viable processing channel for near-field communication (NFC) payments, the technology used by the iPhone 6 and 6 Plus. Confusing matters are existing NFC payment systems from China Mobile and China Unicom that link with UnionPay to let Chinese consumers pay for goods with money from their bank accounts. It was rumored in November that Apple and Chinese online retailer Alibaba would strike a deal to bring Apple Pay into China, possibly as part of the firm's branded Alipay NFC solution. At the time, industry watchers speculated that such an agreement could provide an easier path to ratification from Chinese regulators, but a number of obstacles still stand in Apple's way. Because UnionPay has a monopoly on NFC transactions, it sets usage rates for merchants and could stand in the way of an Apple-Alipay tie up. UnionPay's NFC usage rate "is a heavy price to pay for Alipay. We don't have an offline settlement system, and expensive POS equipment is unaffordable to us," an Alipay source said. Apple's iPhone-based Apple Pay protocol is not fully compatible with China's PBOC 3.0 security standard, sources said. Further, Apple's iPhone-based NFC platform may not qualify for access to Chinese systems that need to incorporate specialized hardware that meets the country's PBOC 3.0 standard. An unnamed source familiar with Apple Pay said the chips used in current iPhone 6 and iPhone 6 Plus devices are not in full compliance with this standard. Additionally, MarketWatch reports that the Chinese government told Apple it must keep all information related to Chinese Apple Pay customers in a data center located in mainland China. By keeping customer data in-country, the Chinese government is reportedly looking to "prevent data leaks" and hasten repairs in the case of system failure. Finally, Apple's current U.S. merchant fees of 0.15 percent of a 2 percent fee charged per payment, plus a half-cent per-transaction charge, have been deemed too high for the Chinese market. For example, Alipay charges along the lines of 0.7 percent to 1.2 percent per transaction, meaning Apple Pay may have to settle for a smaller slice of the pie if and when it enters China.